Guo Xie was a contemporary of Grand Historian Sima Qian (c. 145-90 BCE), and they both lived during the reign of Emperor Wu (r. 141-87 BCE). Although Guo Xie was not from a noble or wealthy background, he became one of the most famous men of his day. Sima Qian met the man in person and (unlike many other officials of the Han Dynasty) thought very highly of Guo Xie. With brutal honesty, Sima Qian described him as a short and ugly man, whose speech was not at all charismatic. Yet, through daring and vigilante justice, Guo Xie became a folk hero of the Chinese masses. Guo Xie was a native of Zhi from a family of little prominence except for a certain famous fortune-teller who had been born two generations back. In his youth, Guo Xie was a ruthless ruffian who operated on a personal code of justice. 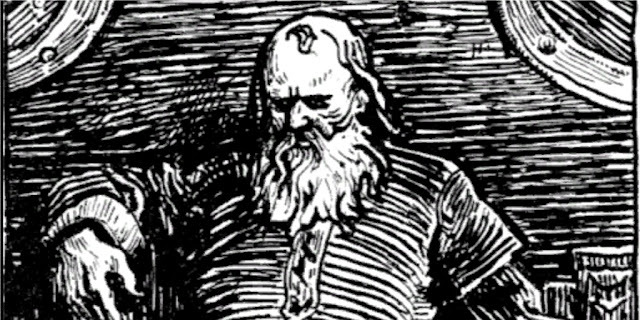 Acting like a character from an Icelandic outlaw saga, Guo Xie was often a force of vengeance, righting wrongs that had been perpetrated against his friends, and (at least in his early days) he often resorted to violence to reach his goals. Guo Xie was also something of a Robin Hood figure, dabbling in banditry and forgery, as well as harboring fugitives that ran afoul of the law. In addition to his extralegal interests, Guo Xie had a terrible temper, which led him to kill many rude or disrespectful men. His vigilante and criminal behavior inevitably brought him into conflict with the Han Dynasty authorities. Yet to the Han officials’ annoyance, Guo Xie proved himself to be an escape artist. When the recklessness and wildness of youth began to wane in Guo Xie, his life entered into a golden age. He learned to control his temper and gained a new appreciation for using nonviolence to solve problems that did not call for bloodshed. Yet, though his temper had cooled, the matured Guo Xie actually took on more vigilante missions than before. He became a knight of the people who solved problems not just for his friends, but for anyone who sent a messenger to him with a request for aid. According to Sima Qian, the reputation of Guo Xie as a warrior, a problem solver, a dispute arbitrator and a general champion of justice, resulted in him eventually receiving up to a reported ten messengers appearing at his home on any given day in order to request his aid. In accomplishing these contracts, Guo Xie traveled widely, visiting several kingdoms that were located near his homeland of Zhi. According to Sima Qian, Guo Xie completed every mission he embarked on, for he never accepted a contract unless he was confident he would be successful in the endeavor. In 127 BCE, Emperor Wu ordered that the richest and most powerful families of China be moved to the city of Mouling for easy surveillance. The Guo family fell far short of the emperor’s definition of richness (3,000,000 in ancient cash), but Guo Xie had such a powerful and admired reputation at that time that they insisted he, too, needed to relocate to Mouling. Even though Guo Xie had been trying to personally curb his excessive violence, he had no control over the passions of his followers. The large faction of Xie’s supporters in Zhi were outraged that their hero was being forced to move. These distraught people held the Yang family responsible, as many of the Zhi district officials were from the Yang clan. Therefore, before Guo Xie could even reach Mouling, the region of Zhi erupted into a guerilla war between supporters and enemies of the folk hero. When Guo Xie and his family were resting in Xiayang during their trip to Mouling, troubling news arrived—at least three members of the Yang family had been murdered, and one of the murders reportedly occurred outside the imperial palace. The Yang victim near the palace had been carrying a message requesting aid against the supporters of Guo Xie. The assassin apparently had not retrieved the message and it fell into the hands of the emperor. 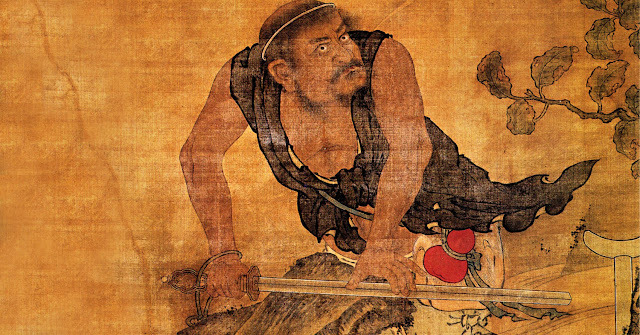 In response to the violence and the request for help, Emperor Wu outlawed Guo Xie and sent his law officials to hunt down the famed vigilante. It was not an easy task, for Guo Xie had always been a master of evading capture. A manhunt began, with law officials chasing Guo Xie’s trail through several cities. After an unknown amount of time, and an unknown amount of travel, the law enforcers finally captured their evasive target. With his capture, the fate of Guo Xie was sealed. Emperor Wu and his ministers were infuriated by vigilantes and so-called knights of the people—they deemed it unforgivable that the masses put their faith in a civilian vigilante instead of the government’s legal system. Therefore, Guo Xie was given the harshest of punishments; for the crime of undermining the government’s justice system, the entire Guo family was executed. Sima Qian disagreed with the government’s decision to execute Xie, writing, “throughout the empire both worthy men and base men, those who knew him and those who did not, all admire his reputation and whenever they talk about the knights, they always cite his name”—Sima Qian ended his account of the man with, “Alas, that he met with such an end!” (Shi Ji 124). Written by C. Keith Hansley. Picture Attribution: (Man sharpening a sword, hanging scroll (14th-17th century), color on silk, 170.7 x 111 cm. Located at the Palace Museum. [Public Domain] via Creative Commons). The Records of the Grand Historian (Shi ji) by Sima Qian, translated by Burton Watson. New York: Columbia University Press, 1993. © 2019 The Historian’s Hut. Rights Reserved. Watermark theme. Powered by Blogger.